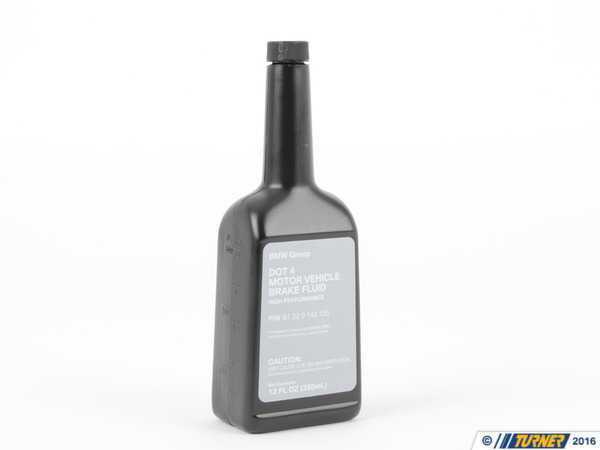 The BMW DOT4 ESL brake fluid is a low viscosity formula for modern ABS and DSC systems. 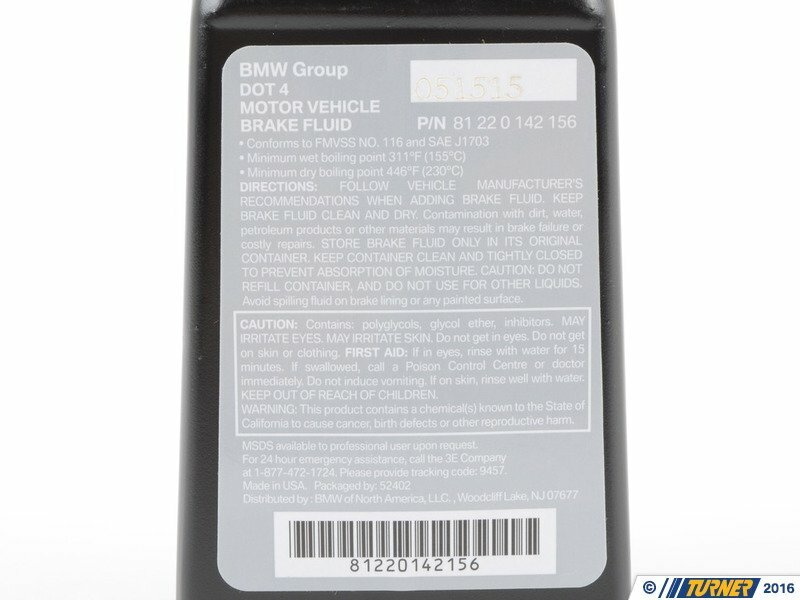 BMW recommends low viscosity brake fluid for all chassis beginning with the E60 5-series. Low viscosity (LV) is a thinner fluid that works better than a normal fluid in the small channels and passageways in the ABS/DSC pump. Using the heavier fluid will result in a delayed response to ABS and DSC activation and a spongy feel in the brake pedal (only during ABS stops). 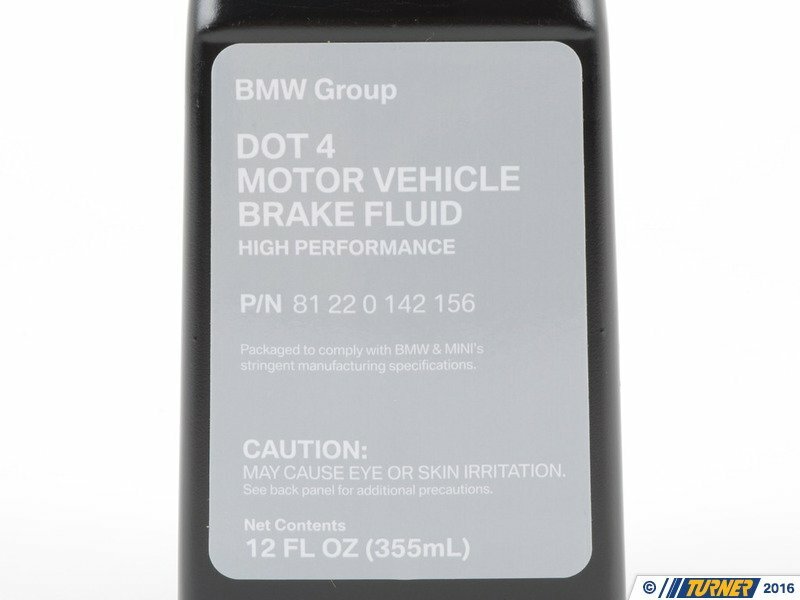 BMW ESL is a DOT4 rated fluid and is compatible with other DOT3 or DOT5.1 fluids. For track use, a heavier high performance brake fluid such as Ate Typ 200 or Motul RBF600 or RBF660 is recommended because of their higher boiling point and because the thicker fluid will thin out at track temps. But for street use we recommend switching back to a LV fluid, especially in colder climates. Click here for more information on the different types of brake fluid. Sold per 12oz container (355mL).